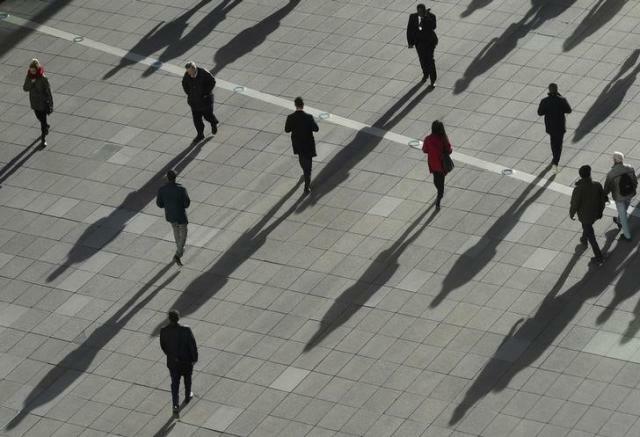 The number of people recruited for permanent jobs in Britain grew at its slowest pace in nine months in July, reflecting record low unemployment and a shortage of migrant workers from the European Union, a recruiters’ body said on Wednesday. A monthly survey by the Recruitment and Employment Confederation (REC) showed there was no lack of appetite for hiring among employers, as the number of vacancies grew at the fastest pace since November 2017. Britain’s unemployment rate has tumbled to its lowest level since 1975 at 4.2 percent and many employers have reported a shortage of EU migrants available for work since the Brexit vote in June 2016. An REC spokeswoman said companies were continuing to flag the problem of fewer EU candidates for jobs in Britain. Official data has shown that the number of EU immigrants to Britain fell to a five-year low last year. The REC survey showed rising pay for newly hired permanent staff, albeit to a lesser extent than in previous months. “With our data showing starting salaries continuing to rise, the latest official government figures suggest that we are finally seeing the effects of a tighter labor market feed through to pay,” Sophie Wingfield, head of policy at REC, said. Employers picked up the pace of hiring of temporary workers and their pay rose too, REC said. The Bank of England said last week it expected pay growth for the workforce as a whole to increase gradually over the next three years as Britain’s economy operates close to full capacity. This risk of the economy overheating was why it raised borrowing costs for only the second time since the global financial crisis.